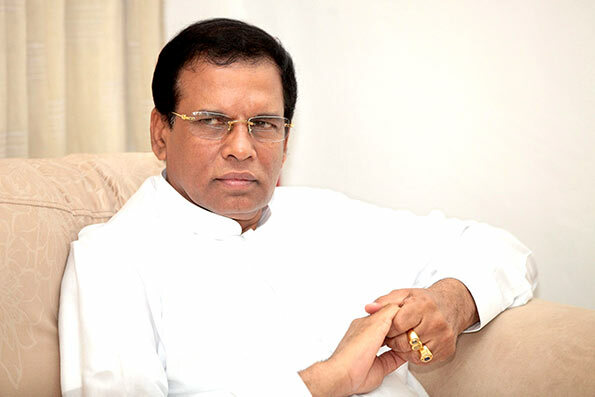 Our common determination in the New Year should be to safeguard the harmony through the strength of unity and cooperation, stated President Maithripala Sirisena in his New Year message. I upheld the trust and confidence you placed on me and fulfilled the promise of making 2015 A Victorious Year, he said ,adding, “The coming year, 2016 too will also be a year without rest for you and us. We have to continue relentlessly on the path to build a prosperous future for our two million people”. We celebrate the dawn of this New Year with many hopes and aspirations in our hearts. With the important turning point of our nation witnessed in January last year, today we are in the threshold of adecisive era of speedy and sustainable development of our country that would be of importance not only to us but also to the future generations. As I emphasized in my New Year best wishes to you last year, we have seen the restoration of democratic freedoms, ending of corruption and violence, establishment of reconciliation, regaining of international goodwill. We have achieved them as a result of the determination and conviction displayed by you in last January last year. I upheld the trust and confidence you placed on me and fulfilled the promise of making 2015 A Victorious Year. The coming year, 2016 too will also be a year without rest for you and us. We have to continue relentlessly on the path to build a prosperous future for our twenty two million people. Withreadiness to shun power rather than grab power, with good intentions and non-hateful thoughts we have empowered the people and changed the traditional rivalries in Sri Lankan politics. All these are to be continued in next year’s agenda too. We can reap the harvest of our victory only by forgoing unity and cooperation through trust to march forward. Hence, our common determination in the New Year should be to safeguard the harmony through the strength of unity and cooperation. I wish all of you a Prosperous and Happy New Year, fee of sorrows and illness. Sukhi deegayu kobhava. Theruwan saranai.